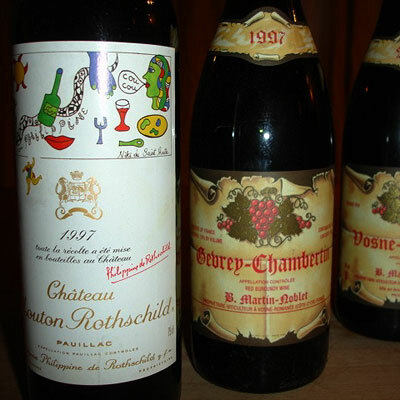 Dwayne Perreault - Château Mouton Rothschild is one of the world’s most prized wines and this is reflected in its price which, depending on the vintage, can easily run into hundreds or even thousands of euros per bottle. To put it simply, it’s a bit out of my price range. 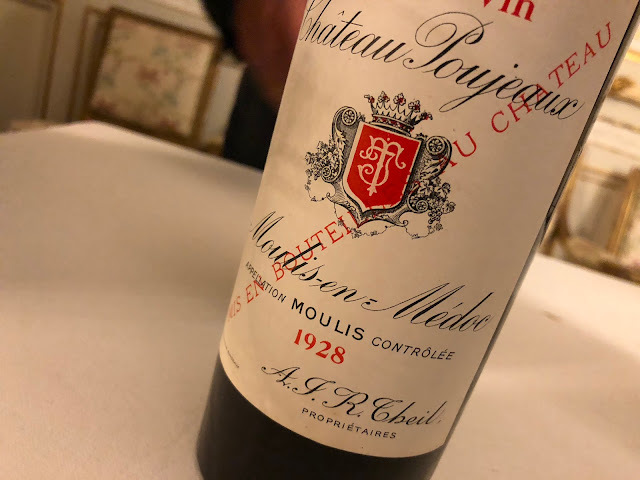 The best I could hope for would be a sample at an organized tasting, such as the latest Winefield’s auction in Amsterdam, where several vintages of Mouton Rothschild were generously made available. As luck would have it, I was unable to attend that day! So this kind soul met me on a snowy day on the Frederiksplein and handed over a 13 year old bottle of Mouton Rothschild, as if it was the most normal thing in the world to do. I thanked her from the bottom of my heart, we chatted a bit more and then she carried on walking her dogs. Since last tasting it in September, the Vosne-Romanée 2001 from Noblet has developed nicely without losing any of its raw vitality. The oak is fully integrated and there is a hint of fur in the nose, along with the peppery cherry. As the Dutch say, this is a wine with boerse elegantie, a farmer’s elegance. The Gevrey Chambertin 1997 however, was on the way down. Still rich and ripe, but 13 years was all this particular vintage could take. I had described this wine as “powerful and gripping” only half a year ago. Mouton Rothschild 1997: a dark cherry and blackberry bouquet with a perceptible iodine tint and toasty oak. Very warm, dark and expressive. Bright notes of forest berries, licorice and coffee with very solid tannins and well integrated new oak. It was a pleasure to have met you, Mouton. Hi, I just stumbled upon your blog and find it very interesting. I will read more later when I have more time. I have a question for you if you have the time to answer. I bought a bottle of Chateau Lafite Rothschild 2006 for a friend. As I really don't know much about wine I am perplexed as to what I should say in the card. Does the wine speak for itself that I should just not mention it or is there something that would be good for me to say. I picked this wine because I read it is the finest in the world. I am giving it to a friend who was a big help to me handling a situation. I appreciate your help if you have the time. Thank you. A great wine expresses itself more neatly and succinctly than we humans can do with words. I would just add a heartfelt thank you. Thanks Dwayne. That is what I was thinking. As I have time to read through your blog more would it be okay if I asked you more questions? how wonderfully surreal! this is the stuff dreams are made of. what dish(es) did you pair with the wines? Dwayne, Thanks for answering my questions. My friend was "Speechless" with the gift. I am curious if you know, I have read that the 2005 vintage was truly exceptional. Do you know how the 2006 compares to the 2005. I read the post today that said all the vintages of this past decade were unusually good but I wondered if you specifically knew about the 2006. Also, I know with the great Bordeaux' they are meant to be "laid" down for many years before drinking. If you were to open a first or second growth bordeaux in less than l0 years what would the difference be as compared to waiting say l0 or 15 years? difficult to answer. I'll try my best. When we talk about vintage years for a region, we need to generalize. And generally speaking, 2005 is seen as a top year for Bordeauxm and 2006 is seen as an average to good year. it's progress or eventual decline. There are no hard and fast rules. Each wine ages differently, just like each person does. again. It had finally opened up, showing some sweaty strong red fruit and vitality, but even so I doubt this can compare to how the wine will taste in its prime. I think in most cases, patience will be rewarded.